LG Root - KingoRoot offers the best one-click Android root software. 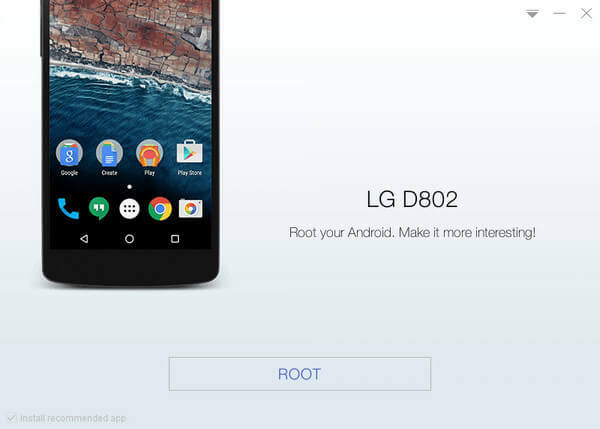 How to root LG Android devices, inlcuding all variants of G2, G3, and the Optimus series? KingoRoot can help you out. It offers the best one-click Android Root software for free, which will deliver you the best result when rooting your LG. LG Electronics has been focused on mobile communications and digital television in areas of rapid and stable development, in order to establish the leading position in IT sector. It manufactures a wide range of smartphones and tablet devices, inlcuding the Optimus series, G series (G Flex, G Flex 2, G2,G3, G4, G5), which are all of great quality and performance. Its smartphone lineup is getting more and more strengthened. 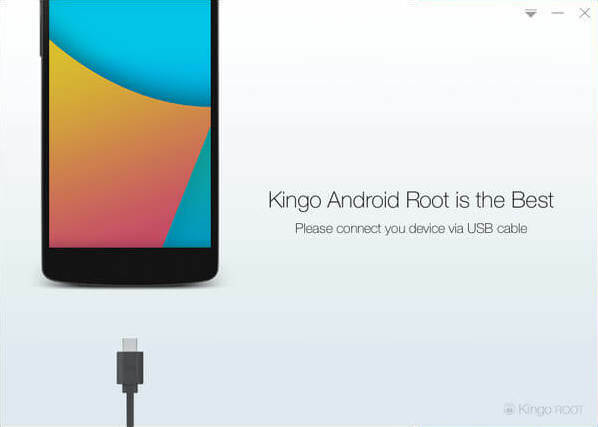 How to Root Any LG devices with KingoRoot Android (PC version) in one-click? Warning Rooting, on one hand, unleashes the true capability of an Android device; on the other hand, involves certain risks. So, as to the question "Root Or Not to Root", do not rush your move and think before you act. Step 1 Free download KingoRoot Android (PC version), install and launch it on your Windows computer. After installing it on your computer, double click the desktop icon of KingoROOT and launch the software. 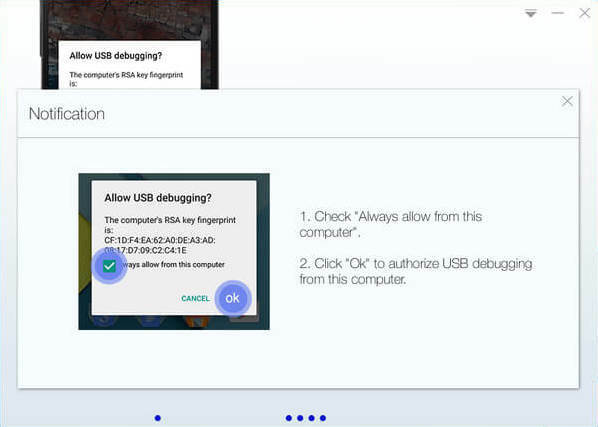 Step 2 Enable USB Debugging mode on your LG device. You can simply follow the instructions below and enable the USB Debugging mode on your LG device. Or KingoRoot will prompt an instruction if you connect your device to PC without enabling it. Step 3 Connect your LG device to PC via USB cable. It is highly recommended that you use the OEM cable or at least a quality one. After connecting, KingoRoot may install device driver softare automatically if it hasn't already installed. All you have to do is waiting for it. Step 4 Allow USB Debugging from your computer. Pay attention to your device screen. 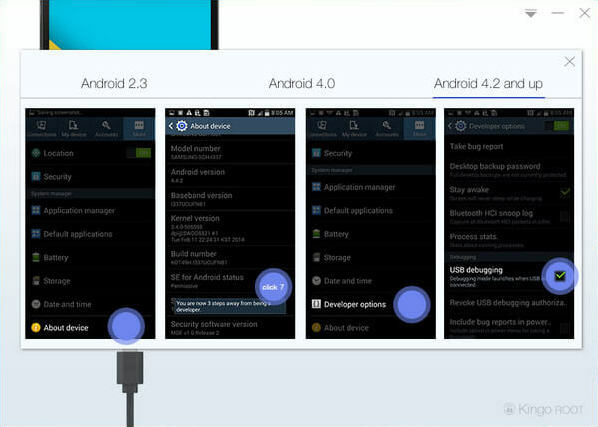 A prompt will appear on devices above Android 4.2 when connecting them to computers. Click "OK" to authorize it, or your device will fail to connect and stay offline. If it is a personal computer of yours, check "Always allow from this computer". Step 5 Click "ROOT" to proceed. As said before, rooting involves risks. Please read the notification carefully and then proceed by clicking "ROOT" button. Step 6 Wait a few minutes till you get a result. Step 7 Succeed or Fail. KingoRoot will try to develop the best root software for Android users. However, the reality is that there is no universal exploit that could work for all devices. The only thing we can do is to cover as many as exploits and thereby support more and more devices. If it succeeded, congratulations. If failed, leave a message.